While attending law school Joshua was Chairman of the Graduate Professional Student Association (GPSA) that awarded independent student research projects with financial aid. He also was the General Clerk for the 2nd Judicial District Court in Albuquerque where he gained extensive experience in criminal defense proceedings. Joshua's goal is to ensure justice and due process for persons accused of crime or other misconduct. Joshua has a passion to deliver justice to his clients everyday he steps into the courtroom. 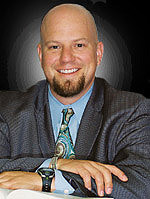 He has developed and maintains valuable relationships throughout New Mexico with his colleagues and clients. Joshua is an attorney that has in depth knowledge of a very complex legal system that benefits his clients and makes a vital impact on the outcome of the case.